Latin dancing is a popular dance form that serves as a fun hobby for some and a competitive activity for others. There are many others that simply admire the dancing, as part of an audience. Once of the most alluring parts of these dances are the clothes. It is easy to get swept away by watching the elaborate costumes move with the dancer. To an onlooker, the shoes may seem like nothing more than another pair of high heels. To a dancer, the shoes are their support and are chosen to fit the outfit and personality of the dance. Specialty dance stores offer a variety of styles, all aimed at keeping dancers comfortable during long hours of training. They are also made to be beautiful and fit with competitive outfits. Choose a shoe that complements your routine, fits properly, and remains comfortable. When choosing a shoe, competitors must think of different aspects of their wardrobe. They may own several pairs of dance shoes to match different outfits. The dance that is chosen for a competition may fulfil a requirement or be a creative endeavour. For both scenarios, different shoes may be necessary. A required dance may still leave some leeway when it comes to music and outfit, however. There may be a specific category, such as merengue or salsa that the dancers must adhere to. The outfit, including the shoes, needs to conform to the music or the personality of the particular dance routine. This may send dancers looking for a traditional black shoe or something spicy with colour. Part of the reason that shoes hurt at times is that they do not fit properly. 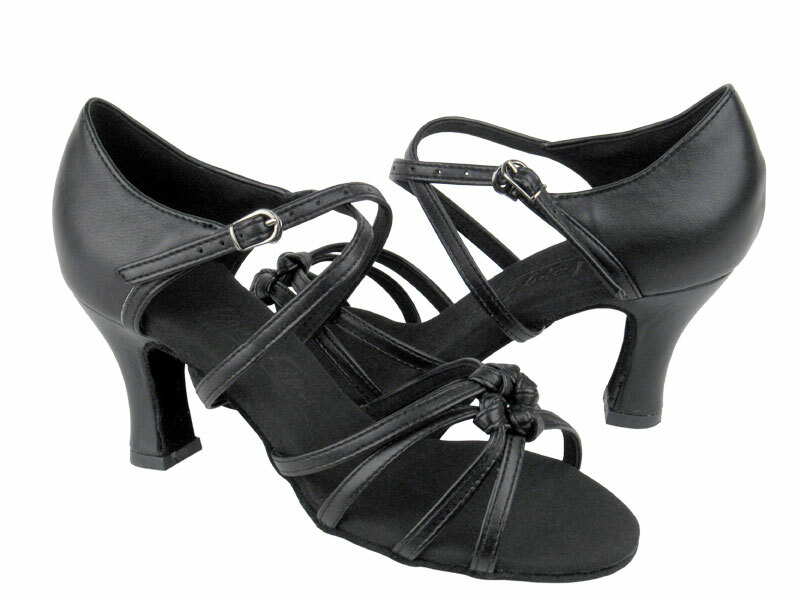 Latin dance shoes can be extremely painful if they do not form to the foot well. A dancers shoes are an extension of their legs. They must move with the dancer as if there is nothing between them and the floor. Adults may have an easier time purchasing shoes than growing kids and teens will. This is because their size is not changing. It is still important, however, to try each pair on and assess the fit. Different brands may vary in how they fit. When you buy dance shoes online, pay close attention to the fitting chart. Dance shoes should not feel loose, as blisters can form when there is movement in the shoe. If a shoe is too tight, it may cause swelling and injury. Adjustable straps can help with this. Many formal dance shoes are black or neutral in colour. This allows them to match well with several different outfits. There are times, however, when a special competition or show calls for a colourful pair of shoes. These are usually chosen to match an outfit. You may also see shoes that sparkle and catch the light. Shoes that are metallic or glittery can add a little sparkle when worn when a dark dance dress. Dance shoes must be beautiful, yet functional. Many people sacrifice their comfort for nice looking shoes in daily life. This cannot be done on the dance floor. A great fit is the only way to have a great performance.